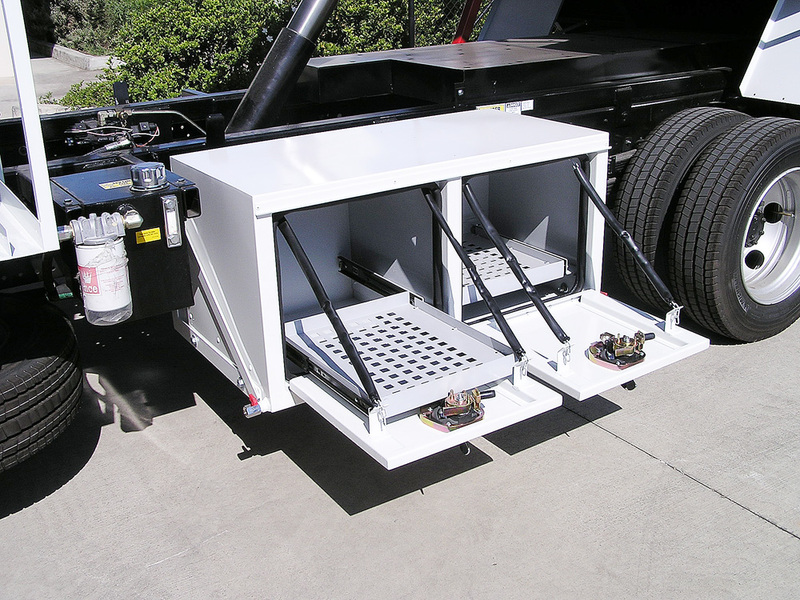 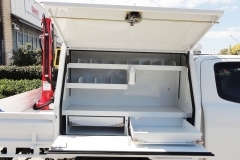 Toolboxes give regular trays or tippers added storage areas, either on the tray. 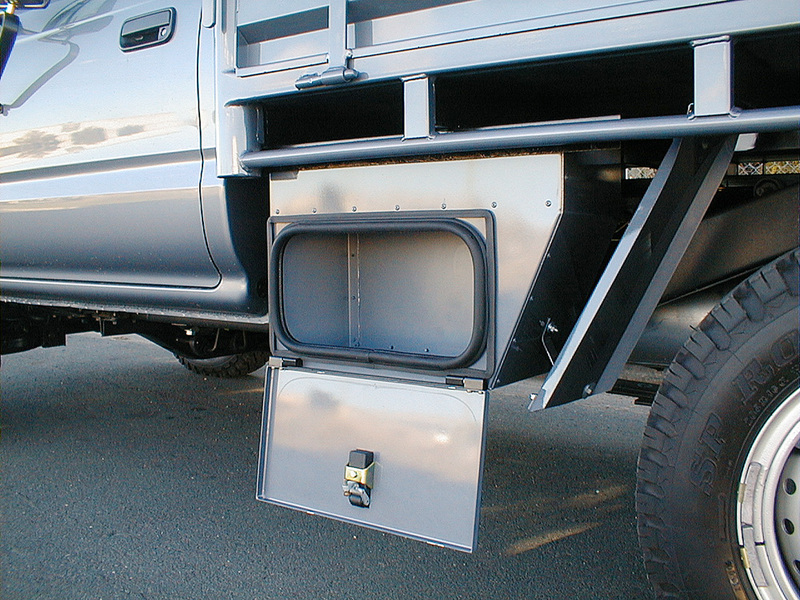 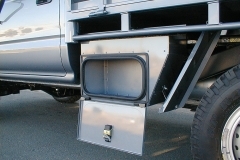 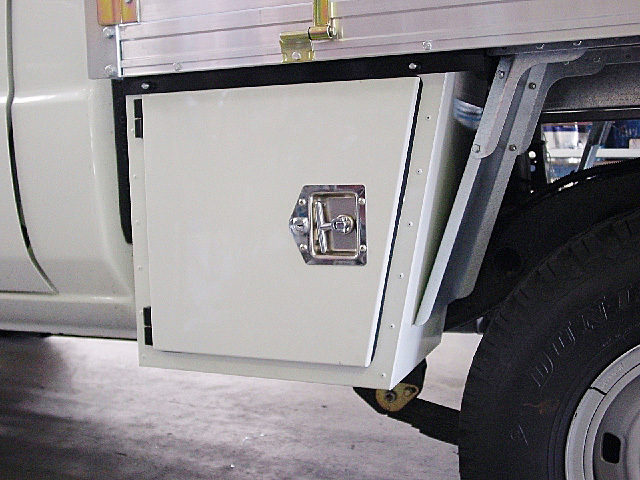 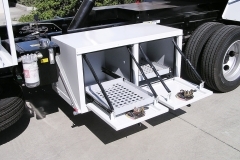 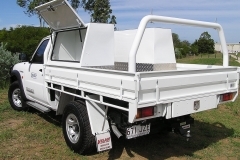 Under the body a toolbox can be fitted almost anywhere. 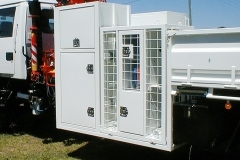 Lift lids, swing doors, roller shutters, doors and locks can be setup to suit specific requirements. 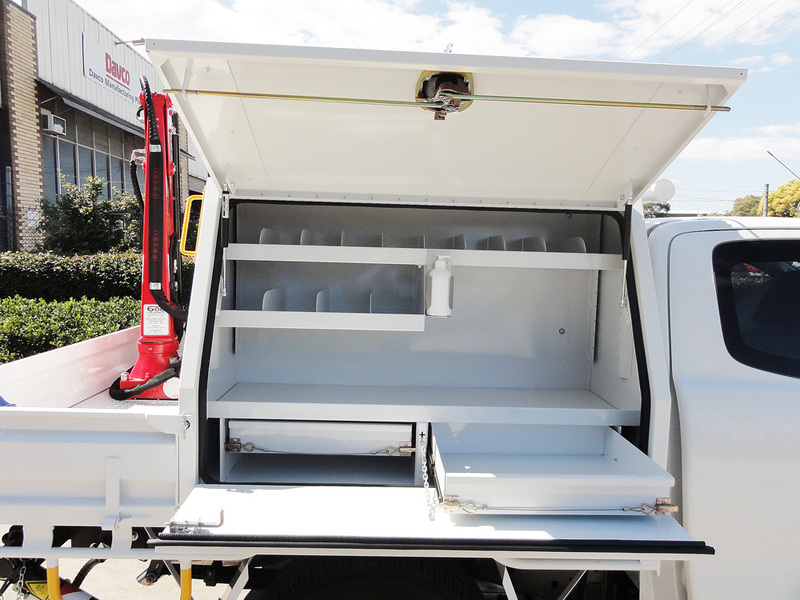 We can also fit adjustable or fixed shelving, partitions, roller drawers, etc, you name it, a toolbox can accommodate it. 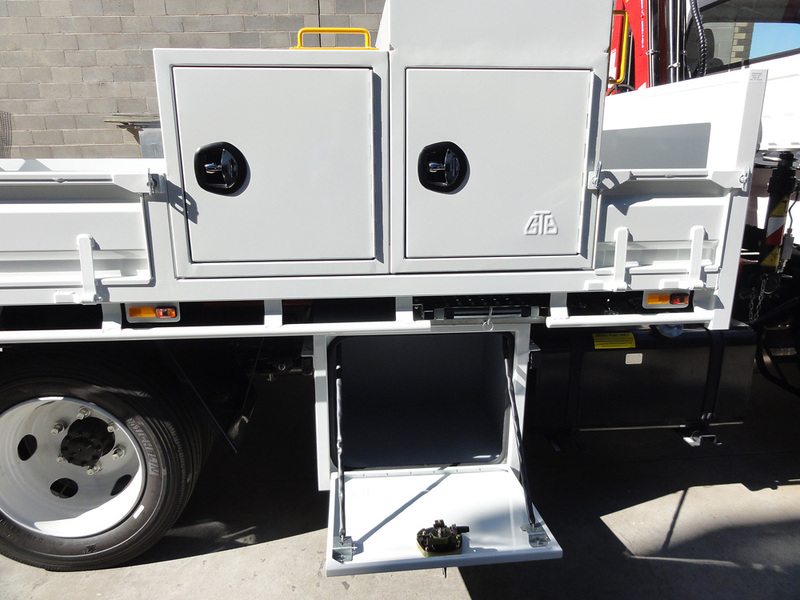 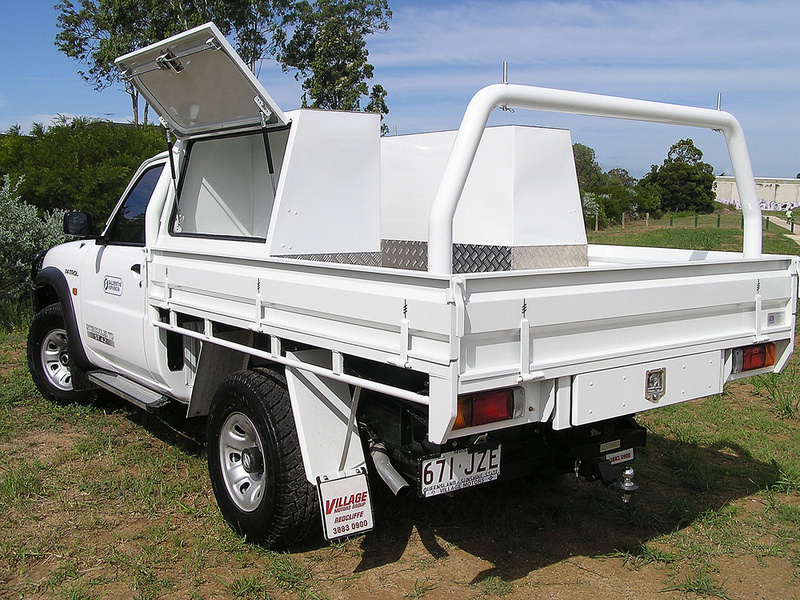 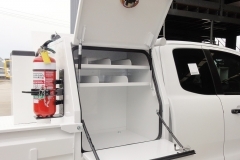 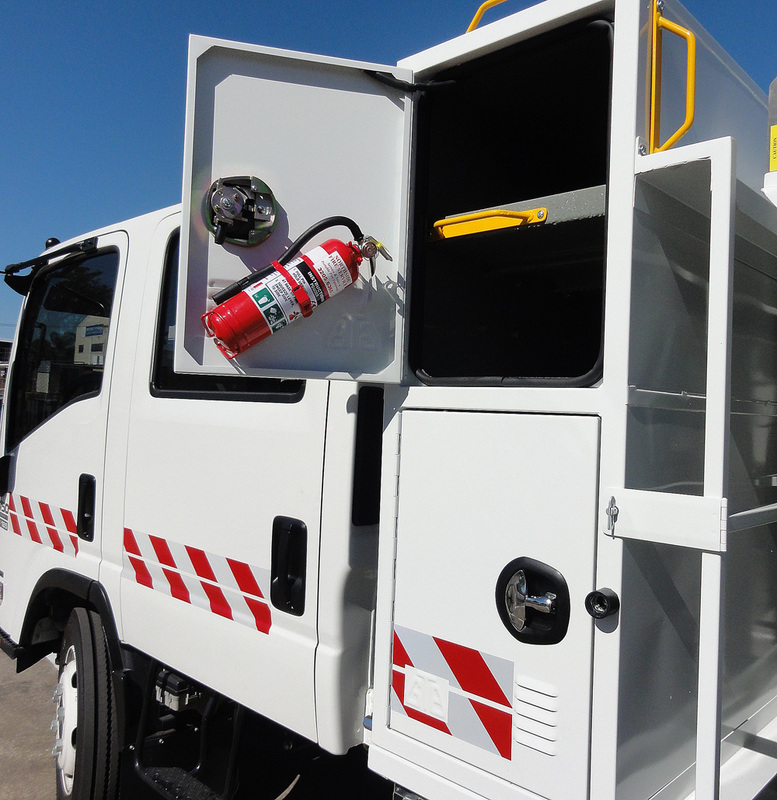 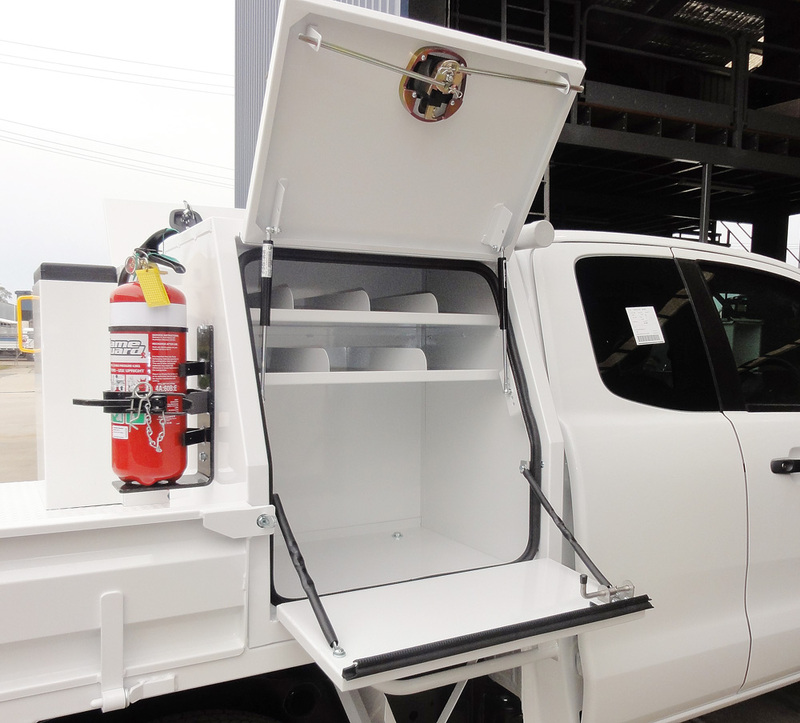 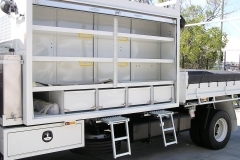 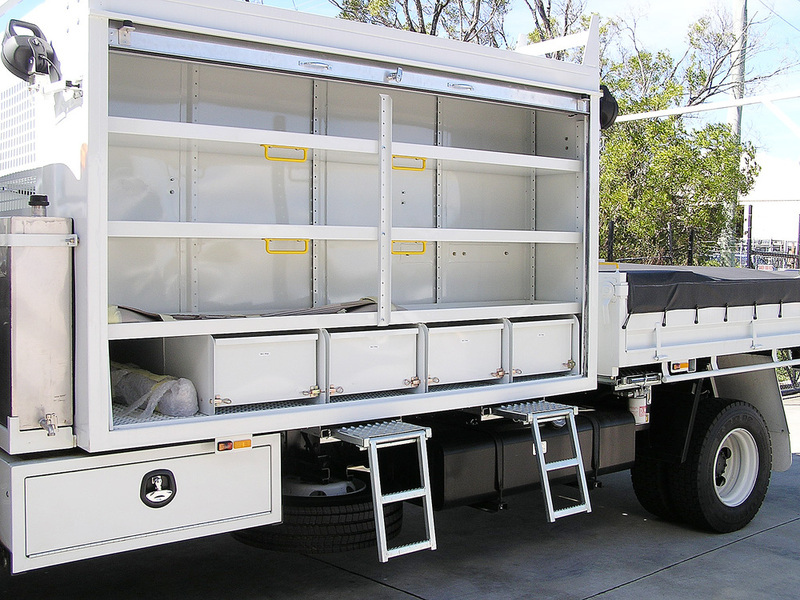 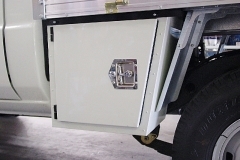 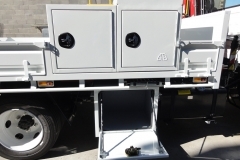 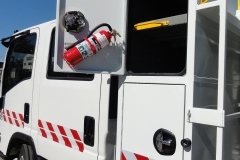 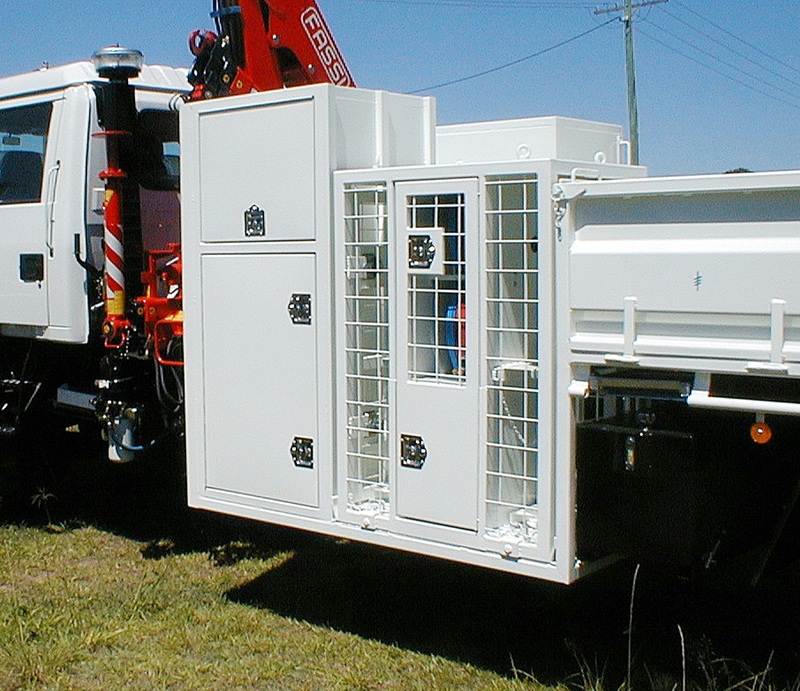 Fitted to all vehicles from 1 tonners to the largest of trucks, toolboxes are versatile and a great addition.